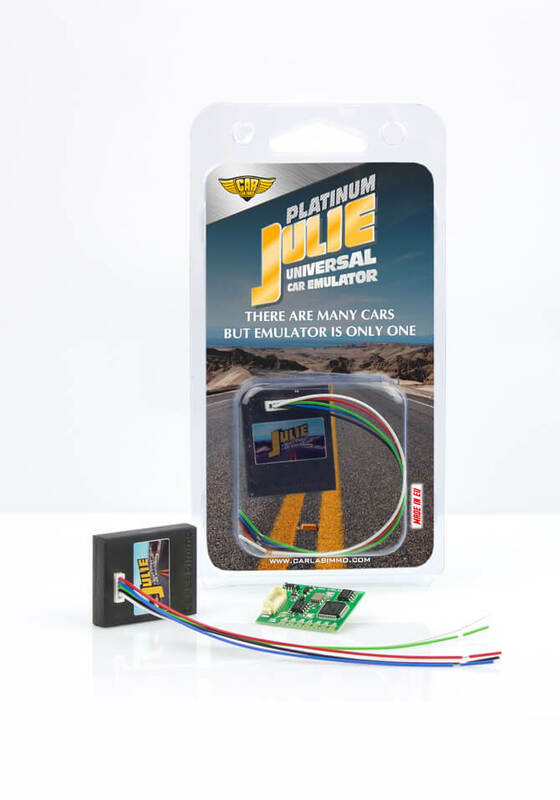 We improve the Julie Universal Emulator for you. Now includes the VAG group programs which you can use multiple times. It means that e.g. from program no 2 you can make Bypass Gold yourself and have the opportunity to remove immobilizer from VAG group cars unlimited times! Furthermore, you can still choose one from 72 programs, which allows you to remove the original immobilizer signal, replace the original immobilizer signal, and replace the ESL, enabling the car to start, check the EZS on the table, check the correctness of the airbag system or start the tacho on the table. Automatically remove immo from a car by identifying ECU type and selecting a relevant program. Automatically restore immo to a car. It is suitable for VAG group cars with Hitachi ECU to about 1997. To unlock the valve code on injection pump in vehicles VW 1.9 Diesel. Only works with ECU that has got immo board equipped with 26-pin processor with a label. 48. Mercedes ESL3 - steering wheel column lock emulator NEW!!! Yamaha motorbikes and scooters from 2004 to 2010.